At Detroit Lakes Overhead Door Services, we have over 38 years of experience in the commercial overhead door business; we employ qualified, specially-trained installers, allowing us to serve both our builders and home owners with efficiency and courtesy. We won’t sell or install a product that doesn’t fit a contractor’s needs or budget. We understand that time is of the essence when deadlines loom. Honesty, fairness, and professionalism are our trademarks. We proudly carry Wayne Dalton products, which are renowned in the industry for seamless installation, durability, and dependability. Our full line of commercial doors include models ideal for situations that demand exceptional thermal values, have rigorous wind-load conditions, or simply require a performance door designed for the long haul. Wayne Dalton overhead doors are energy efficient, low maintenance, and available in styles to enhance a new or existing building’s architecture. The team at Detroit Lakes Overhead Door Services trusts the long history of excellence of Chamberlain and LiftMaster Garage Door Operators for all of our commercial installs. Their time-tested performance is the ideal fit for the safety and security of your commercial property. Detroit Lakes Overhead Door offers same day emergency service in Detroit Lakes and the surrounding regions. With over 38 years of experience, we provide affordable quality work you can trust! 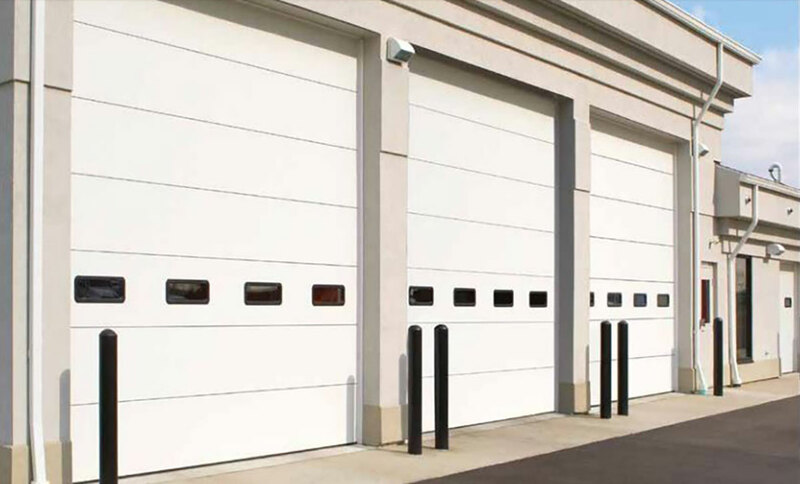 Same day Emergency Commercial Garage Door Service around Detroit Lakes area.